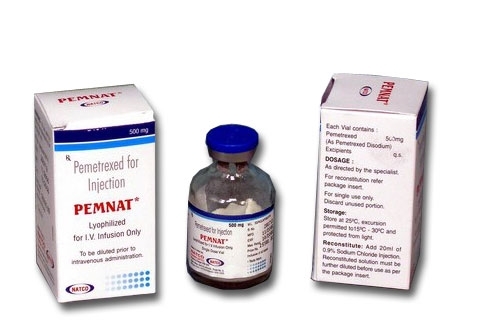 PemNat (Permetrexed) is a cancer medication that interferes with the growth of cancer cells and slows their growth and spread in the body. 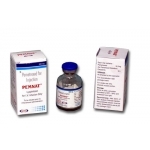 PemNat (Permetrexed) is used to treat mesothelioma, a form of lung cancer associated with exposure to asbestos. PemNat (Permetrexed) is also used to treat non-small cell lung cancer that has already been treated with other cancer medications. PemNat (Permetrexed) may also be used for other purposes not listed in this medication guide. Before receiving PemNat (Permetrexed), tell your doctor if you are allergic to any drugs, or if you have kidney or liver disease, bone marrow suppression, a weak immune system, or excess fluid in the space around your lung, liver, or other internal organs. Throughout your treatment with PemNat (Permetrexed), you will need to take folic acid and vitamin B-12 to protect your stomach, blood cells, and bone marrow from the side effects of PemNat (Permetrexed). You will need to start taking these supplements a week before receiving your first PemNat (Permetrexed) infusion, and will keep taking them for 3 weeks after your treatment ends. 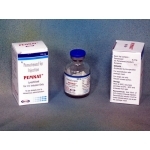 PemNat (Permetrexed) is usually given every 3 weeks. Your doctor will determine how many treatment cycles you should receive. PemNat (Permetrexed) can lower the blood cells that help your body fight infections. This can make it easier for you to bleed from an injury or get sick from being around others who are ill. To be sure your blood cells do not get too low, your blood will need to be tested on a regular basis. Your cancer treatments may be delayed based on the results of these tests. Do not miss any scheduled visits to your doctor. Before you receive PemNat (Permetrexed), tell your doctor if you are taking an NSAID (non-steroidal anti-inflammatory drug) such as ibuprofen (Motrin, Advil), naproxen (Aleve, Naprosyn), indomethacin (Indocin), ketoprofen (Orudis), and others. You should not receive PemNat (Permetrexed) if you are allergic to pemetrexed. FDA pregnancy category D. This medication can cause harm to an unborn baby. Do not receive PemNat (Permetrexed) without telling your doctor if you are pregnant. Use an effective form of birth control, and tell your doctor if you become pregnant during treatment. 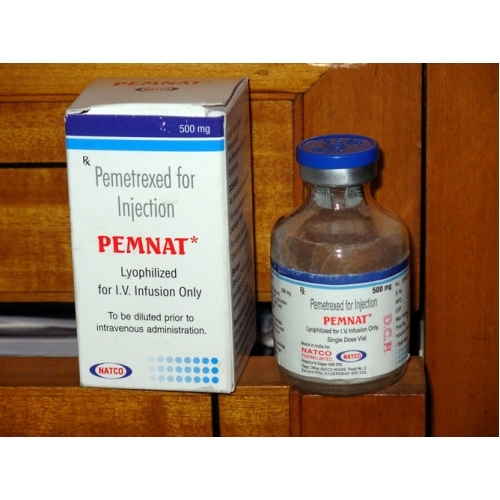 It is not known whether PemNat (Permetrexed) passes into breast milk or if it could harm a nursing baby. Do not receive this medication without telling your doctor if you are breast-feeding a baby. How is PemNat (Permetrexed) given? 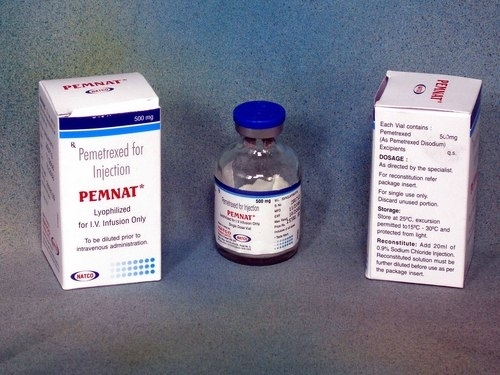 PemNat (Permetrexed) is given as an injection through a needle placed into a vein. You will receive this injection in a clinic or hospital setting. The medicine must be given slowly through an IV infusion, and can take up to 10 minutes to complete. Your doctor may also prescribe steroid medications to reduce certain side effects of PemNat (Permetrexed). To treat mesothelioma, the PemNat (Permetrexed) injection is usually followed by infusion of cisplatin (Platinol) 30 minutes later. Cisplatin must be given very slowly, and is usually infused over 2 hours. Contact your doctor if you miss an appointment to have your PemNat (Permetrexed) injection. Overdose may cause fever, chills, body aches, flu symptoms, mouth sores or white patches, and severe diarrhea. What should I avoid while receiving PemNat (Permetrexed)? What other drugs will affect PemNat (Permetrexed)? an NSAID (non-steroidal anti-inflammatory drug) such as ibuprofen (Motrin, Advil), naproxen (Aleve, Naprosyn), diclofenac (Voltaren), diflunisal (Dolobid), etodolac (Lodine), flurbiprofen (Ansaid), indomethacin (Indocin), ketoprofen (Orudis), ketorolac (Toradol), mefenamic acid (Ponstel), meloxicam (Mobic), nabumetone (Relafen), piroxicam (Feldene), and others. This list is not complete and there may be other drugs that can interact with PemNat (Permetrexed). Tell your doctor about all the prescription and over-the-counter medications you use. This includes vitamins, minerals, herbal products, and drugs prescribed by other doctors. Do not start using a new medication without telling your doctor. Your pharmacist can provide more information about PemNat (Permetrexed).